Sadie Leblanc brings valuable direct cannabis industry experience to her role as Account Coordinator. Simultaneously advocating for medical cannabis legalization for the patients in the state of Florida, she was also working directly with cannabis startups thus exposing her to the unique landscape for business in such a restricted state. In addition to her knowledge of the plant, Sadie brings a background in social media marketing, event planning and knowledge of the industry operations surrounding it. Her love for organization, commitment to professionalism and sunny upbeat disposition make her a passionate member of the team. Sadie’s involvement began as a volunteer for United for Care, Florida’s Medical Marijuana Campaign organization. Following this she conducted a year long internship with an emerging cannabis business incubation company in Tampa, FL. 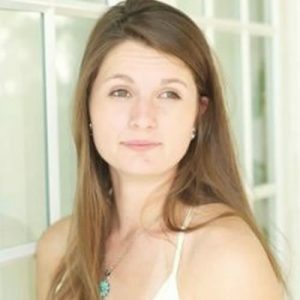 During her time there she assisted in full scale organization and directed the on-site execution of the 2014 Cannathon, an event developed with the goal of bringing every cannabis organization in the state of Florida together for the first time in an effort to unify the fractionated movement, and it was a success. The event was strategically located at the gates of McNair Air Force Base and centered on cannabis as an alternative treatment for PTSD. In addition, this also garnered attention for Florida objectives with Amendment 2 which would allow for a full Medical Marijuana program, as well as educating the public on the many medicinal benefits of the cannabis plant. After proving to be an asset to the efforts of the coordinating entity, Sadie was commissioned to help organize the 2015 Cannaball Run for Veterans, which aided in successfully passing the “Veterans Equal Access Amendment”. Sadie was then given the opportunity to expand her knowledge of the Cannabis plant by conducting an Independent Study with Dr. Gregory Gerdeman, a Professor of Biology at Eckerd College. Dr. Gerdeman has conducted substantial research on the endocannabinoid system, it functions in the brain and the effects made by Cannabis. This study, titled “Cannabis & Industry” took a particular focus on Florida’s emerging Medical Marijuana program. Florida passed Amendment 2 successfully on November 8, 2016 with 71% of the vote. Sadie assisted Salar Media Group’s CEO, Cynthia Salarizadeh, on all of the above cannabis events and then helped her launch the company. She is an invaluable asset to the Salar Media Group team. Sadie LeBlanc is a recent graduate of Eckerd College, with a Bachelor’s Degree in Business Management and a Minor in Environmental Studies. Sadie graduated high school with an Associate’s Degree, and completed her Bachelor’s degree in just two years, finishing at age 20. Within that time she managed to involve herself with several munificent causes and numerous organizations within the Cannabis Community. Cannabis education, legislation and business has been her concentrated area of focus since beginning her studies in 2014. Aside from her professional experience and knowledge involving the Cannabis plant, Sadies love for plants of all kinds is the driving force behind her newest venture. Knotted Root Designs. On her etsy shop you will find handmade macrame art and living creations, based out of Saint Petersburg, Florida.